Two hundred Cañada College students walked out of class on March 4th and gathered in the campus quad for a speakout against budget cuts. The college’s budget was cut by 10 percent in the last year, leading to the cancellation of more than 27 sections (out of a total of about 600) this semester, and reducing students services programs that help first generation, disadvantaged, and disabled students to access their right to education. Both counseling hours and book vouchers were cut in half, while disability testing was moved off campus. The college is facing a second 10 percent cut to its budget in the next year, which will result in the cancellation of over 100 sections next semester. The English as a Second Language Program will be hit particularly hard; almost all the part-time faculty in the department did not get assigned any classes next semester. 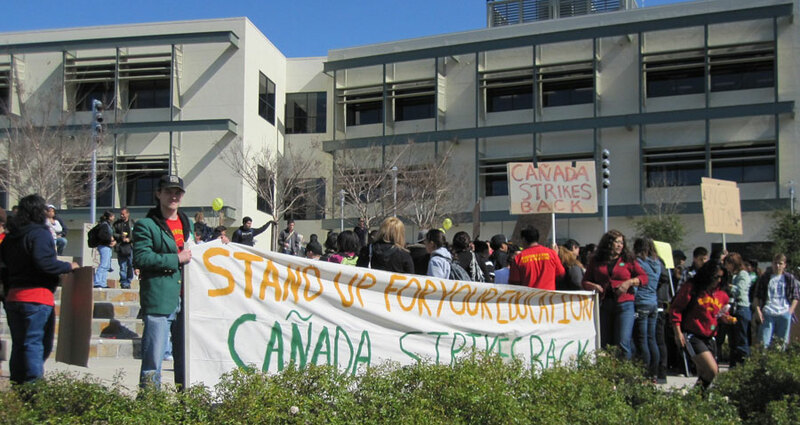 Since Cañada has historically served Redwood City and East Palo Alto’s large immigrant communities, these cuts are likely to have a significant impact on the racial composition of the student population. 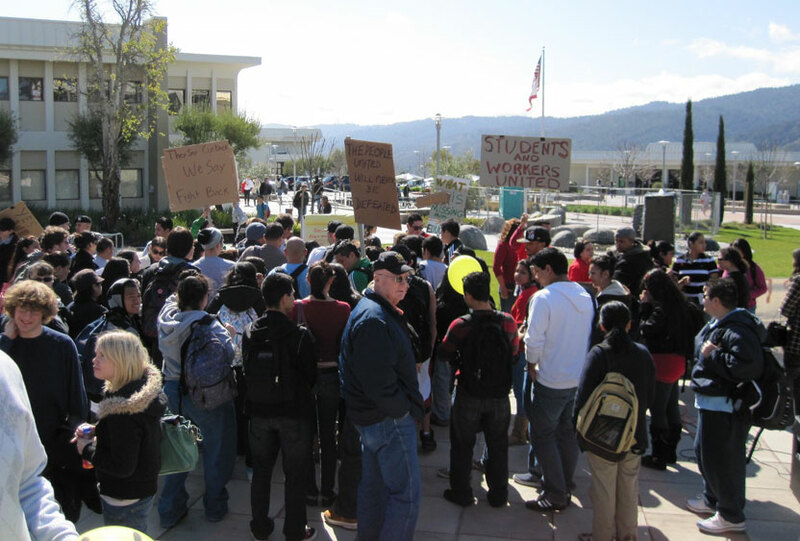 After the speakout, students presented a list of demands, signed by all present, to the college president and then marched to the campus entrance, which was being picketed by Carpenters Union Local 217. The carpenters were out because the San Mateo Community College District has hired nonunion carpenters to do the finishing work on a faculty housing complex that is being built on Cañada’s campus. 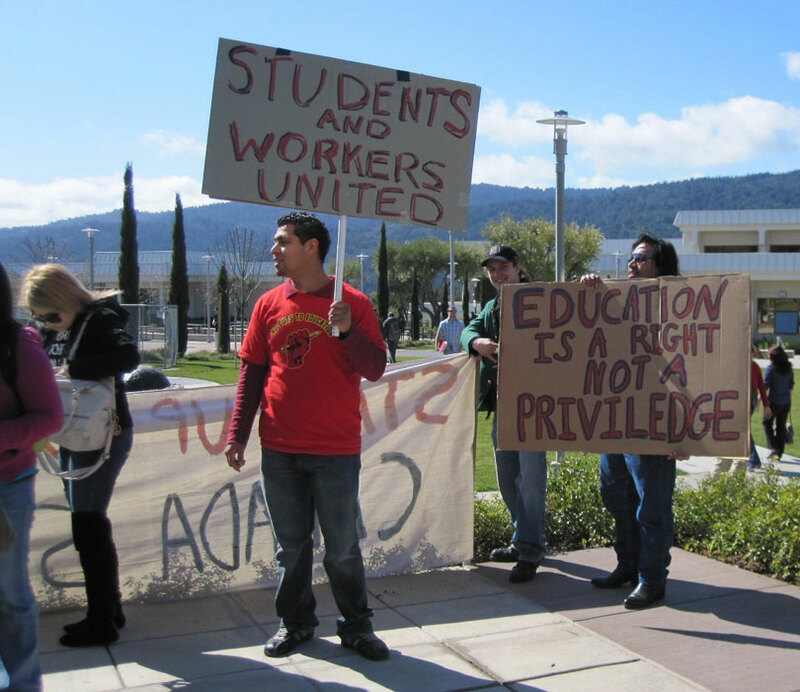 Students stood beside picketing carpenters and chanted their support while calling for solidarity between students and workers. 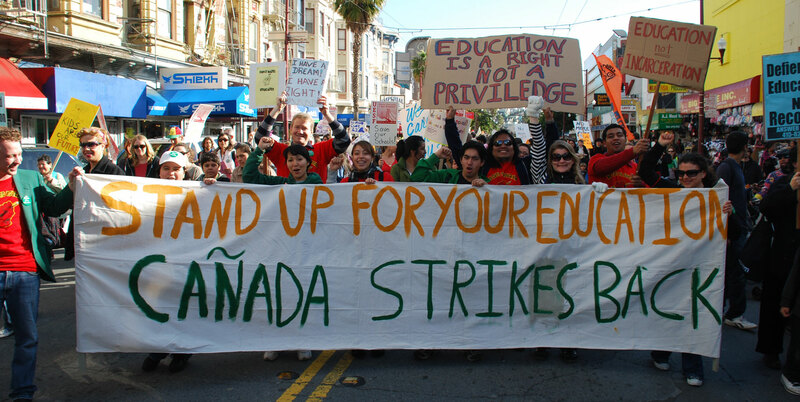 After marching back to the center of campus, students formed carpools to join in the march and rally for public education in San Francisco.